Andrey Nikolaevich Chebotaru was born on December 23, 1984 in Sevastopol (Inkerman). 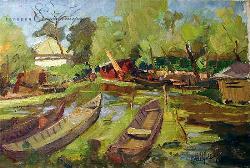 In 2002 he entered Samokish Crimean Art School. He is a permanent participant in art exhibitions.